These Fall treats exemplify the term 'too pretty to eat'. But once you find out that these pumpkin cake apple turbans aren't just a delicious combination of spiced pumpkin cake and apples, they are glazed with apple cider and pineapple vanilla bean sauce. 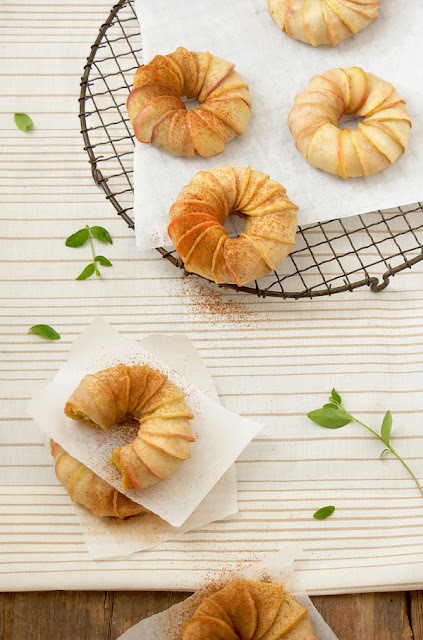 You can get the pumpkin cake apple turban recipe over at Lemon Fire Brigade. She even includes a gluten free version of the recipe. Just be warned that you may lose an hour or two admiring the gorgeous pictures of her delicious looking recipes.